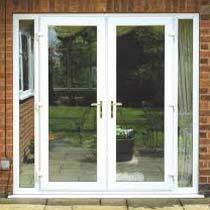 High-performance UPVC Doors outperform the alternatives in thermal ratings. UPVC is a natural insulator, sealing cooled air inside your building structure. Based in New Delhi(India), we have gained wide appreciation owing to our high quality products and client-centric approach. We make certain that the offered array of products is sternly packed and delivered safely to the customers' stated address and that too in the committed time span.